Two blogs, two days…not bad! 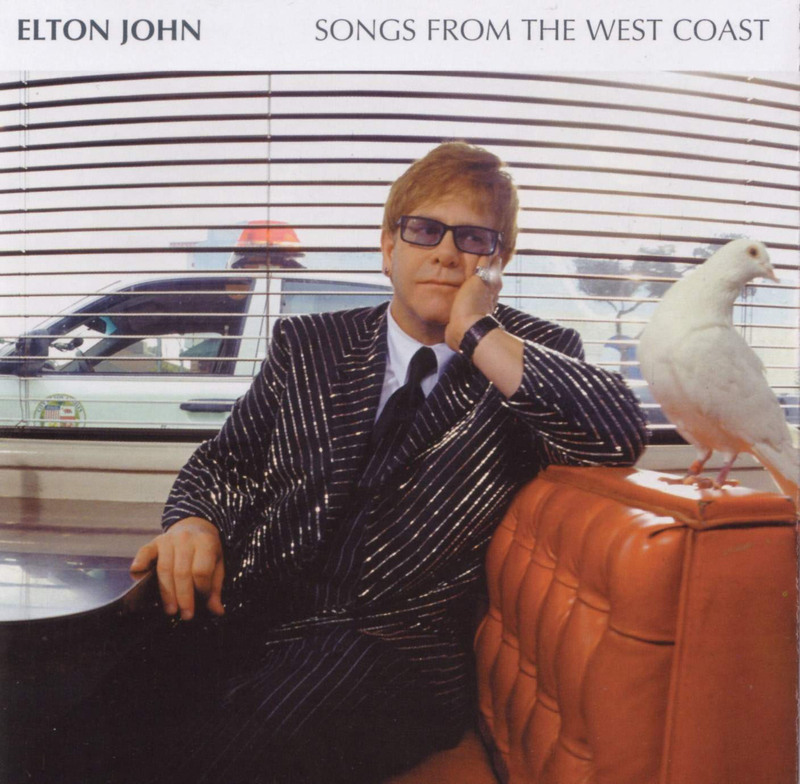 So today’s post is The Emperor’s New Clothes, the first track from Elton John’s 2001 release, Songs From the West Coast. You might be thinking to yourself, “Songs From the West Coast was definitely not released right after the Elton John album.” And you are right for thinking this. In fact there were nearly 40 albums in between the two. Bottom line, I was bored with going in strictly chronological order, and there was some pretty high interest for me to play this album. So my plan is to go through the entire Songs From the West Coast album and then maybe throw it back to an older album and sort of alternate between new and old to keep things interesting. After all that explanation, here is why I am so interested in doing this album. I remember the lead up to this album coming out and hearing all this press about it being Elton’s return to form. And it truly was a return to form from everything to instrumentation to the way it was recorded. But to me the most important “return to form” is Elton’s piano work on the album. It is a fun album to play as a piano player and its chalked full of fantastic piano riffs. I remember my first listen to the album and thinking, “this is the best thing I’ve ever heard him do.” And while this may be an over-statement, it’s certainly worthy of a great deal of praise. The opening track is a totally piano based song that is a very simple striped down ballad, yet it sets the tone for what was undoubtedly Elton’s best effort since the early 80’s if not since his hay-day in the 70’s. So without further ado, please enjoy my rendition of The Emperor’s New Clothes. And as always, thank so much for your support and kind words.